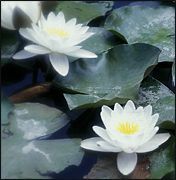 Lilies are among the oldest cultivated plants in the world. Native to east Asia, lilies are now found worldwide, and have been used in herbal preparations and medicines for centuries. As far back as the second century BC, lilies were used in medicinal ointments in some parts of Asia; the ancient Greeks and Romans also grew lilies for both medicinal and ornamental purposes. Today, the lily is still grown in China as a food, an ornamental plant, and for medicinal purposes. McGuffin M, Hobbs C, Upton R (eds.) American Herbal Products Association's Botanical Safety Handbook. Boca Raton, FL: CRC Press, 1997, p. 70.